This user has been partially suspended. Comment: I've just about given up hope of ever receiving this. It's been two months since the send deadline. If it had really been returned to you with insufficient postage, it shouldn't have taken this long to resend it. I'm just really sad. I REALLY wanted to give you the benefit of the doubt and believe you when you said you felt bad and would send something extra to make up for it. But I feel like I keep asking you (instead of you taking the initiative to update me) and you keep giving me promises and then nothing comes in the mail. And that just breaks my heart. If I receive something, I will re-rate you, obviously. But until then, I'm going to have to rate you a 1 and drop you from the group. I hope everything works out for you. Comment: You did a great job on both sets! I liked them both--suspense and amazing descriptions, but nothing can ever beat a first kiss. Thanks for sharing them with me! Comment: Item arrived yesterday. I completed my pages this morning so it is ready to go out to next person. FYI: Be careful about postage, it arrived here postage due. Response: Ahh ok. Thank you so so so much for all your help with this! Comment: Thank you for resending and correcting this swap. I will enjoy these teas. Response: I understood my mistake. Thank you again. Comment: Thank you for such a nice, long, and personal letter. I loved reading every word about your love of slash, both the good and the angry--it shows your passion! So awesome that you have an IRL friend who ships the same as you! I have a few friends who read slash, but they read het the most. So fantastic that you're taking a CW course. Best of luck & happy slashing! Comment: It is great that you're a part of a fandom you're passionate about. Thanks for sharing! Comment: I loved the postcard and I was not familiar with that postcard. I had to look it up. I thought it was in secret code at first. LOL! Thanks! Response: Hehe glad you liked it! Comment: Thanks for your lovely ATC and the tuck ins. Comment: Thank you for your nice beach card with the model that I wish I had a figure like. Your card was funny. Hope you enjoy your holiday! Comment: Thanks for the extra strip if movie film! I'm excited to make something with it! Response: Im so glad. I was so worried when I had trouble sending it! Comment: Looking good, thank you! Comment: Thank you for the cool selection of vintage things. I don't have a lot of book related stuff so this was perfect for me. Response: Oh! If I knew, id have sent a lot more! Comment: Thank you for the pc! Captain Crunch is sooo yummy!! Love the stamping and little extras you drew. Comment: Very cool poem, Victoria! Thanks! 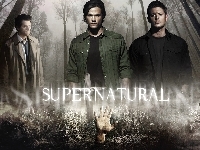 Supernatural in a Bag profile check! Happy swapping! Did you send me a bunch of postcards? I /think/ I got some from you!